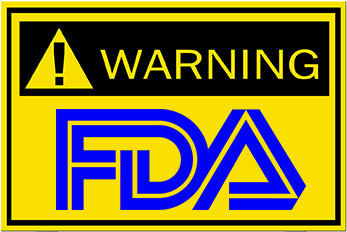 What did the FDA find objectionable? “Organic oils of Baobab, Pomegranate, Perilla, and Pumpkin [(ingredients in your product)] make a synergy to soothe irritations whether they be from sun, wind, allergies, or chronic inflammatory conditions. Second of all, even if those statements are approved for an over-the-counter drug (which they are not), the manufacturer would need to be an approved, inspected and licensed drug manufacturer in order to legally (and safely) make them. It’s virtually impossible for a handcrafter to meet those standards. It’s all about the intended use. What is the product supposed to be used for? What is its purpose? Cosmetics are products that are intended to cleanse, improve appearance and beautify. They are “surface” products changing the way things LOOK. Drugs are intended to cure, mitigate, treat, or prevent disease and/or affect the structure or function of the body. They work “under the hood” and make changes inside the body. Drugs are highly regulated for the safety of consumers; cosmetics are much less regulated. Handcrafters can make cosmetics; handcrafters cannot make drugs without being an FDA and state approved drug manufacturer. When you come up with an idea for a new product, keep in mind the intended use. YOU decide this when you create the product. This isn’t a passsive, accidental action; this is (or was at some point) an active decision on your part. If your newest, greatest, brightest idea is an “anti-itch poison oak soap”, you have already started down the path of creating an unapproved new drug. Your decision that the intended use is “anti-itch” and the “treatment of poison oak” moves your product away from a legal cosmetic product and turns it into an illegal drug product. No matter how you try to go around it, to be “tricky” and characterize your product as a cosmetic when the actual intended use is as a drug, if the consumer gets it – so will the FDA. The FDA isn’t stupid and they have lots of experience reading between the lines. It’s a lot harder to stay in business when you start out with products that skirt the law. Make it easy on yourself – make and sell soap and cosmetics, not drugs! Excellent, and important information, especially for new and small artisan skincare makers! I shared this with my students, and added that large companies can afford fines, legal fees, reformulation and new labeling–but for a small business, this can be disastrous. I’m in the process of starting a soap and cosmetic business in FL (thank goodness for no more product registrations!) and I’ve been scouting some existing cosmetic business websites and such to get a feel for my market. A few of them who create cosmetics also make some “drug” claims, yet they have a disclaimer at the bottom of their website stating that the claims are not approved by the FDA. I’ve seen this disclaimer numerous times on a variety of products and was wondering if you knew the legality behind it. If they (or I) make claims about products, yet have a disclaimer, is that legal and will it prevent the FDA from knocking on my door? I know the FDA has their “discretionary enforcement,” and while I am not looking to make claims about my products that would classify them as drugs, I do want my customers to realize the potential benefits of the ingredients I use. I know you are not an attorney, but I thought you might have some kind of information on this interesting aspect of the FDA, especially in light of all the warning letters arriving on doorsteps. There are two types of disclaimer notices you might see on cosmetics … neither of which really mean squat and neither allow any types of claims to be made. First, there is the “not reviewed by the FDA” disclaimer. That’s actually for NUTRITIONAL SUPPLEMENTS, and has nothing whatsoever to do with cosmetics. I wrote a blog post covering it several years ago – you can see it here: Using an FDA Disclaimer on Cosmetics. Second, there are the legal disclaimers that sometimes come from lawyers and are an attempt to get out of any liability if someone had issues using the product. I doubt they would have much effect, if any … and most of them aren’t written by lawyers, they are written by people copying what other people have written. Best protection against any liability issues is having good insurance. There is no disclaimer or statement that will allow you to make claims that your products (or their ingredients) are intended to be used in the treatment, mitigation, cure or prevention of diseases, or that they can alter the function or struction of the body. As soon as you start trying to tell you customers the “potential benefits” of the product or ingredients, if those “potential benefits” include the treatment, mitigation, cure or prevention of disease you have already crossed the line. Why mention the point if you’re not trying to communicate to the customer that those benefits are “potentially” in your product? Am I right that exfoliating and for dry, normal, or oily skin or hair is allowed? Can you put an asterisk after the lye ingredient then as a footnote say all lye has been combined with oils to make soap leaving extra nourishing and moisturizing oils behind. In non cosmetic. soap can you use fully saponified, partially saponified and non saponified for your oils. Any claims that a product will treat, mitigate, cure or prevent disease, or that it will alter the function or structure of the body renders the product an unapproved drug because the intended use is as a drug. Sun blocks and sun screens alter the function of the body. Reducing redness (other than just covering it up like a concealer) is altering the structure or function (or curing/treating a disease). Antibacterial or antiseptic properties are preventing or mitigtating potential disease. Most of the other statements you asked about are either cosmetic claims (promoting attractiveness or beautifying) or are just marketing hype (vitamins, minerals, etc). You can put an asterisk in the ingredient declaration to explain what you want — that’s marketing (provided it doesn’t make any healing claims). In non-cosmetic soap you can say saponified or not – but remember that the chemistry of soap is such that it is NOT complete oils that are not saponified when you superfat or lye discount. See materials by Kevin Dunn, PhD in Scientific Soapmaking about what fatty acids saponify first.